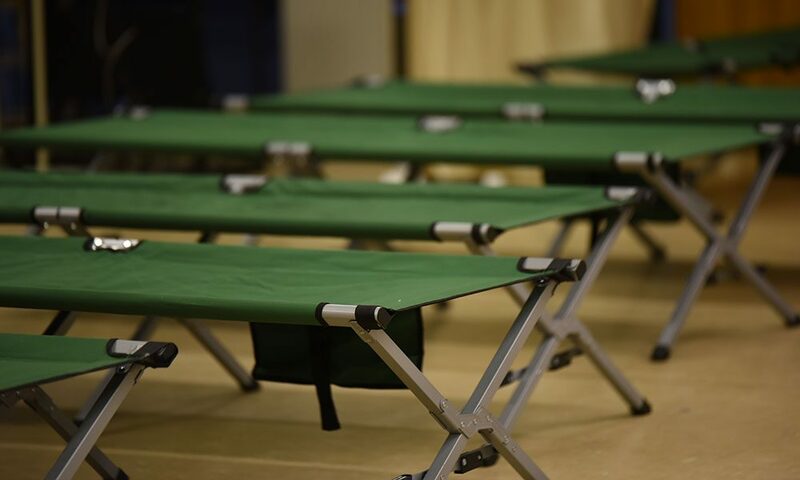 This is the first in a series of columns for 'saratoga living' from Mitzen, who, with her husband, Ed, has been lobbying for a permanent Code Blue homeless shelter location in Saratoga. “Alone we can do so little; together we can do so much.” Those are the powerful words of Helen Keller, the famed American author and activist, and I think the Saratoga Springs community can learn a lot from them. In most communities, homeless people—or as I like to call them, “people without homes”—are feared, misunderstood and largely ignored. We see them every day on Broadway, sitting on curbs, lying on the ground, resting on benches and standing outside of the Stewart’s Shops on Church Street. But how we see them varies greatly. To some, they’re a daily nuisance, a problem that the City Of Saratoga has allowed to get out of control. For me, it’s different. I’ve been blessed to volunteer at Shelters of Saratoga’s Saratoga Code Blue shelter, and as a result, have gotten to know some of these individuals. I’d like to share some of my experiences with you. People often ask me how my husband, Ed, and I became involved with the shelter. When Code Blue first opened in Saratoga, Ed signed us up to volunteer to see what it was all about. We got “morning kitchen duty” and had no idea what to expect. Driving into town early that Sunday morning, we were speculating about what the shelter might be like. We figured there would probably be 10 or 12 people there. I mean, this is Saratoga, right? I’ll never forget walking into the shelter the very first time. The number of cots lined up strategically, in an effort to maximize the space, was shocking. I vividly remember the sounds and smells of so many people asleep in that room. The person in charge greeted us and showed us into the kitchen, as she explained our role for the next few hours. We got to work. I started cooking eggs and sausage patties and put Ed in charge of making toast—about the only task that fits into his kitchen skillset. Soon, the guests began to wake up, and we were ready to serve them. We were both taken aback by how incredibly kind and appreciative the guests were. So many of them thanked us for the food and also just for being there. One interaction, in particular, stood out to both of us: A man approached Ed and asked if, perhaps, he could have seconds, but only after all of the other guests had been served. We were both so moved by his compassion for others; he clearly had nothing more than the shirt on his back. At the end of our shift at Code Blue, Ed and I were tired and hungry, so we headed to Comptons to get some breakfast. Normally, we’re both quite chatty people, but that morning, found ourselves sitting in silence. To think that we had just cooked and served breakfast to more than 40 people without homes right here in our own community left us a little shocked and speechless. We couldn’t help but feel thankful for our home and our life overall. We continued to volunteer on and off at Code Blue throughout the season. The following season, we committed to cook and serve dinner on Christmas Eve. I prepared a big Italian feast, and Ed helped serve it. We came home that night after serving, feeling tired but happy that we were able to provide a nice meal to so many people in need. Ed poured us each a drink, and we looked at our dogs: What a sad thing to think that our dogs have a beautiful roof to live under and plenty of food, water and treats, and there’s this entire group of people crowded in the basement of a church in Saratoga on Christmas. Ed looked at me and said, “I think we should build them a building.” As with all of his ideas, I told him that he was crazy, though I secretly loved the idea. A few days later we got our ducks in a row and decided to go for it. With the support, help and generosity of the LA Group, Bonacio Construction and Balzer & Tuck Architecture, to name a few, we were on our way. Without getting into the weeds of the situation, let’s fast-forward to present day—two years later. We’re still in search of a suitable location for a permanent Code Blue shelter. It’s both sad and ironic that our emergency homeless shelter is without a permanent home. We’re grateful to Soul Saving Station Church and the First Presbyterian church for welcoming these folks. I’m not sure where Code Blue would be without their heartfelt generosity. Some say that the city needs to step up and find a solution, while others like to blame the county. I’m not a big fan of politics, and therefore, I feel this is a humanitarian issue first and foremost. These are people in need of a warm, safe place to stay. No one deserves to die on the street—especially in Saratoga. In my interactions with these people without homes, I’ve found them to be genuine, selfless and incredibly appreciative of the smallest acts of kindness. I’d like to share another story with you, this time about a woman named Grace, who’s homeless and a current guest of Code Blue in Saratoga. I met Grace on Christmas Eve 2018. We instantly bonded over our mutual love of a good old-fashioned ham dinner. I noticed right away that Grace had a great smile and an easy way about her. I couldn’t help but wonder how a lovely 65-year-old woman ended up homeless and in a shelter on Christmas Eve. Grace started to tell me about her family growing up. She said it looked perfect on the outside, but on the inside, it was a disaster. As she described her childhood to me, she sat with her hands neatly folded in her lap, and a look of true sadness in her eyes. Her smile faded as she shared with me that her parents were both alcoholics. She also said that her father was a paranoid schizophrenic and that her mother was a narcissist. She let out a big sigh as she looked down at the floor for a few moments reflecting on her past. I asked her if she had any siblings or extended family. Grace told me that her parents only had her, never adopted any other children and didn’t have any children of their own. Her father had two siblings, her Aunt Ann and Uncle Jim. Sadly, there was a long history of schizophrenia in her father’s family that affected his siblings as well as their families. Needless to say, she had no real relationship with any extended family. Grace attended school in Albany and tried to live as normal a life as possible to the outside world. At home she was often anxious and depressed with her parents’ drinking and fighting. She described her father as physically abusive to her mother at times, but she said he knew better than to mess with her. When I told her that I thought she was one tough cookie, she said “I had to be,” which made her smile reappear. Grace’s mother and father separated when she was 11 and eventually divorced when she was 17. The marriage ended primarily due to money and alcoholism, to name a few of the problems, she said with a wink. Grace stayed with her mother, and she attended Mercy High School in Albany. She talked about feeling isolated and lonely. Her mother’s struggles impacted her greatly, as she carried the weight of all of it with no one to talk to. She did say that her father called every week, sometimes two or three times. Sometimes he was sober, sometimes he wasn’t. Her mother was terrified of him, and she lacked the proper coping skills; she’d get stressed and feel helpless, then turn to the bottle for comfort. Grace wasn’t afraid of her father at all and stood up to him to protect her mother. On the outside, Grace appeared strong, which amused her father. He used to say, “Why can’t your mother be more like you?” Inside, however, Grace was severely damaged by all of this. She became riddled with anxiety, which got worse with each passing year. Grace graduated from Mercy High School and was excited to attend college. Her dream was quickly crushed when she was diagnosed with severe scoliosis. She had to lie flat on her back for six months and felt defeated. Her mother was adamant that she’d only help Grace pursue her college dream if she agreed to become a nurse. This wasn’t something Grace was interested in. She felt that she wouldn’t make a good nurse because she would become too involved with the patients and wouldn’t be able to maintain professionalism. Once Grace was mobile again, she worked different jobs in the kitchens at both Albany Medical Center and St. Peters Hospital. Although she liked the work, she realized that she needed to secure a higher paying job fairly quickly, as her mother’s drinking had accelerated. Her home situation was bad, and she was the only one that could fix it. Grace was determined to go to college, and ended up attending Maria College in Albany. She graduated with a business degree and focus on legal secretarial. She worked briefly at Traveler’s Insurance and then landed a job with the State of New York, where she remained employed until 2006. During these years, Grace managed to retain steady employment and even purchased her own mobile home. Her mother remarried a kind man and things were really good for years. When I asked Grace if she ever married, she said that she hadn’t. Grace was told in her early 20s that she would never be able to have children, and although she had had some close relationships, she feels that she sabotaged them due to her infertility, along with her stress in caring for her mother. In the late ’90s, Grace’s stepfather became ill, and her mother didn’t handle it well. In fact, Grace said that her drinking was, once again, out of control. Eventually, her stepfather passed away, which left Grace as the lone person to look after her mother. This was a very difficult time for Grace, and in addition to the anxiety and stress, she felt as though something was physically wrong with her, too. She explained to me that she always felt that something wasn’t right, but she never told anyone because she was terrified. Her mother was so consumed with her own issues that she failed to notice what was happening with her daughter. When I asked Grace if she’d ever abused alcohol and/or drugs, she immediately shook her head no. She never had an interest in either after witnessing the deterioration it had caused within her own family. Grace was working for the State during this time, but it had quickly become challenging. Grace’s physical and mental illness caused her to behave in a manner that wasn’t easy to understand or acceptable in the workplace. Sadly, her co-workers would accuse her of “faking” the illness, because she appeared perfectly healthy on the outside. They’d say that she was just trying to get attention. When I asked Grace how that made her feel, she looked at me through sad, misty eyes and said that although the illness was real, she didn’t blame her co-workers for saying the things they did, because, deep down, she did want attention. She continued to fall apart, suffering one severe depression after another, while also dealing with the physical challenges from her illness. After Grace’s mom passed away, she continued to try to work, but it was becoming increasingly more difficult. Grace eventually lost her job at the State. She looked me in the eyes and said, “I screwed up there something terrible.” As she looked down at the floor, she shook her head and shared that she had stopped showing up for work due to her depression. She described the depression as “classic,” causing her to remain in bed for days. She also said that the anxiety had shifted from constant worry about her mother to her own debilitating physical condition. In 2006, Grace resigned, because she knew she was going to be fired. She’s been unable to work since, due to her anxiety, depression and physical illness. With very limited income, Grace lost her mobile home. She was homeless for about six months, but then, eventually, was able to secure an apartment. Things were going pretty well. Although she was unable to work, she qualified for some disability income and was able to care for herself. She even got a dog, Peggy the chihuahua, who she described as the love of her life. As Grace was sharing this with me, her entire face lit up and her expression softened. Sadly, though, this glow faded quickly. Her ability to manage her finances and live on her own proved far more difficult than she ever imagined. 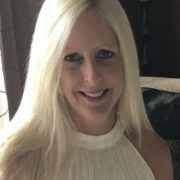 The combination of her mental and physical illnesses prohibited her from making timely payments, caring for herself or her adored dog. She lost her apartment and has been homeless since the fall of 2018. Her dog, Peggy, is being well cared for by a kind, generous person in our community. When asked what it’s like to be homeless in Saratoga, Grace looked at me and said that in general, people are nice and friendly to her. She said that this isn’t the case for the majority of the others. “I don’t look homeless, and that’s why”, she offered. I asked her what the worst part of being homeless is and honestly, I expected her to say the cold or the food or the way she’s treated, but much to my surprise, she responded that it’s the sense of total helplessness. She carried a heavy, lonely burden her entire life and now needs to rely on others to get by. This is difficult for Grace. 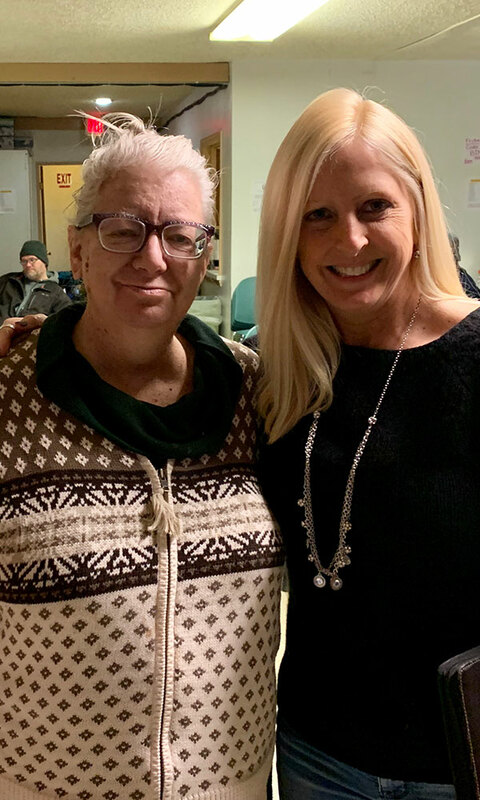 At the end of our get-together, I asked Grace if there was anything she’d like to say to the people of Saratoga about homelessness, and she said, “yes.” Grace straightened up in her chair and pointed her finger at me. She was very serious, and said, please make sure you include this in your article: “I’m ashamed of the way I behaved most of my life. And, it’s easier to end up homeless than people think.” She felt that there were many people that weren’t that far away from becoming homeless; all it would take would be a lost job or suffering from a mental and/or physical challenge—and no one to talk to or seek help from—and things could spiral out of control. I thoroughly enjoyed spending time with Grace and appreciated her trust in sharing her story with me. She’s kind and determined. She’s hopeful that she’ll be able to eventually get into an apartment with the help and support of all of the wonderful people at Code Blue and Shelters of Saratoga. She misses Peggy and wants to be in a safe, warm home again with her. I hope that this story—and that of volunteering at Code Blue with my husband—will help Saratogians realize that there are solutions to homelessness. They begin with you and me.